Are you searching every store in the mall for the hottest new looks for Spring 2019? Are you looking for the perfect flower blouse? Maybe you’re shopping for some brighter colored clothes and accessories? Perhaps you’ve been searching for denim that isn’t designed for the dreary winter months? Scout and Molly’s Boutique at The Shops at Legacy has all the on-trend Spring 2019 fashion items you’ve been searching for. From the most influential and current designers to the hottest styles that are flattering for everyday wear, our professional stylists will work with you to make sure you get a completely personalized shopping experience. These cropped jeans from Spanx are brightly colored and form flattering, the perfect lightweight match for a classic flowy spring-themed blouse. With high-quality stitching and flattering rear pockets, these Spanx cropped jeans should be an essential foundation in your spring wardrobe. 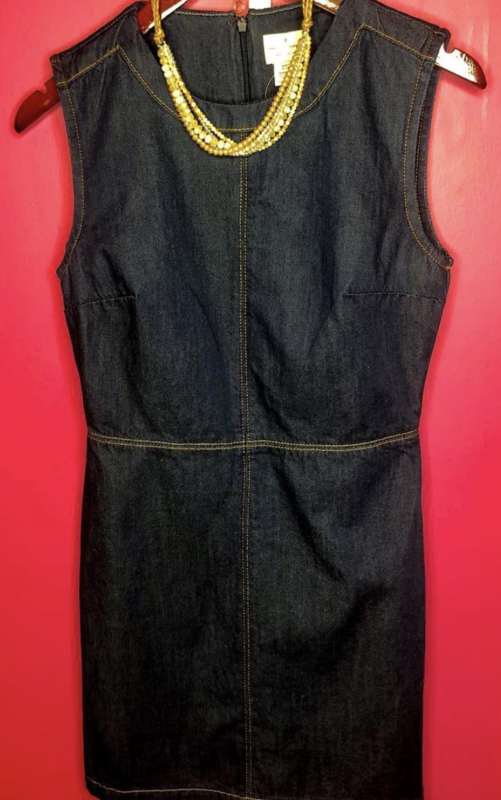 We’re also carrying this unique French Connection black denim jean dress. With figure-slimming seams and darting, this dark washed denim is the perfect balance to anchor flowery spring accessories or wear under a comfy and stylish spring cardigan. This Elan dark flowy maxi dress features a modest yet attention-grabbing v-neck and tank sleeves. This figure-enhancing maxi dress is the perfect outfit with or without accessories. 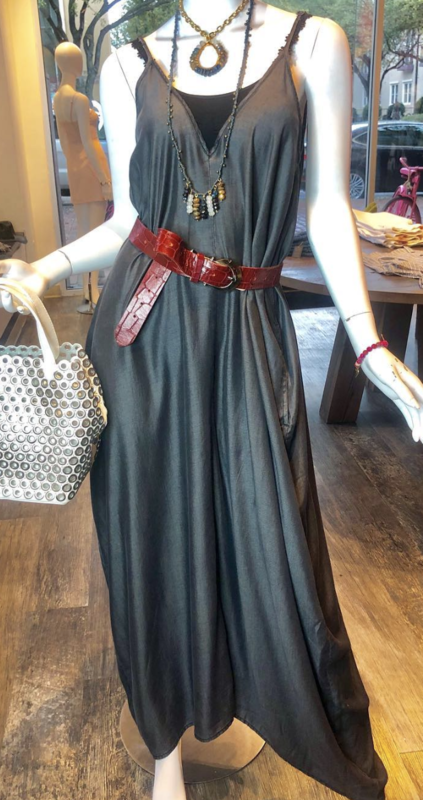 If you’re looking to refresh your wardrobe from last spring or just want to add a few items to your spring collection, come see the friendly staff here at Scout and Molly’s Boutique at The Shops at Legacy today!